Welcome to the official site for Bassist/Composer Ethan Jodziewicz! Ethan here, writing you from Stoughton, WI! I’m out on the road with The Milk Carton Kids right now, doing a week of shows in the cold, cold Midwest. After a winter of less travel and more hibernating, it feels good to be out playing shows again. 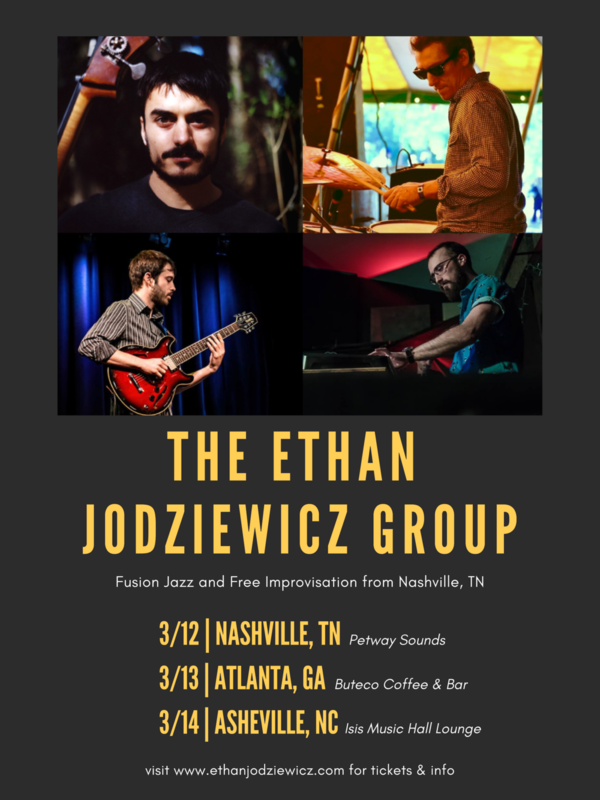 I’m especially excited to bring my band, The Ethan Jodziewicz Group, out for three shows in the Southeast in just a couple weeks! We’ll be in Nashville, Atlanta, and Asheville, and the band features a great lineup: Mark Raudabaugh on drums (Donna The Buffalo), Mike Seal on electric guitar (Jerry Douglas Band), and Aaron Walters on keys (Basic Printer). Please come out if you are in the area! So cool to be the guest this week on the Contrabass Conversations podcast! Jason Heath and I had a fun chat about bass, music, and life a few weeks ago, and you can listen to the whole thing here. Jason has been doing a great thing for the bass world with this podcast for the past decade, and it's an honor to be included in the archives among many friends and heroes. Be sure to subscribe if you want to hear more! Happy solstice! Today marks the start of new things for me: tonight we leave on the first tour with The Milk Carton Kids and their full band. I've known Kenneth and Joey since 2014, and have admired their music even longer. They've been a duo for many years, but just made a wonderful new full-band album called All The Things That I Did And All The Things That I Didn't Do, and are about to embark on a tour with 5 additional musicians. I'm thrilled to be joining them on upright and electric bass as they go out and support this new project! Please check out the Tour Dates page here to see where we'll be and when we'll be there! New YouTube video from the Ethan Jodziewicz & Friends show in Nashville last month! This one is Joe Zawinul's composition Directions. It was performed and recorded by an early incarnation of Weather Report and by Miles Davis, both of whom inspired our arrangement. Featuring Mike Seal on guitar, Mark Raudabaugh on drums, and Aaron Walters on keyboard! My YouTube channel has the first new videos since 2012! Just a few have been added for now, but I intend to regularly add to the content there - some videos from live shows, and also some special projects I have in mind to release in the not-too-distant future. I would be grateful if you took a moment to check the channel out and subscribe if you'd like you keep up to date on new videos! This January I spent mostly at home in Nashville, and was glad to be able to join Maya de Vitry on upright and electric bass for her weekly residency at the 5 Spot. She has a whole batch of amazing new songs, and has assembled a terrific band. We'll be playing again in Nashville on March 26 at the Basement. The past few weeks I've been back on the road with Sierra Hull and special guest Eddie Barbash on sax. We started in Glasgow with a wonderful 5 days at the Celtic Connections Festival (my first time in Scotland! ), then kicked off her US Winter Tour with 7 shows in the Northeast. Eddie will be on the next three shows in Florida, and then we'll have a few more guests throughout the rest of the tour: Christian Sedelmyer (fiddle), Sam Reider (keyboards and accordion), and Mike Seal (electric guitar). In addition, our buddies Phoebe Hunt and Scott Mulvahill are opening these shows. Come catch a gig as we experiment with new sounds and configurations! All the details are on the Tour Dates page. Thanks for supporting live music! 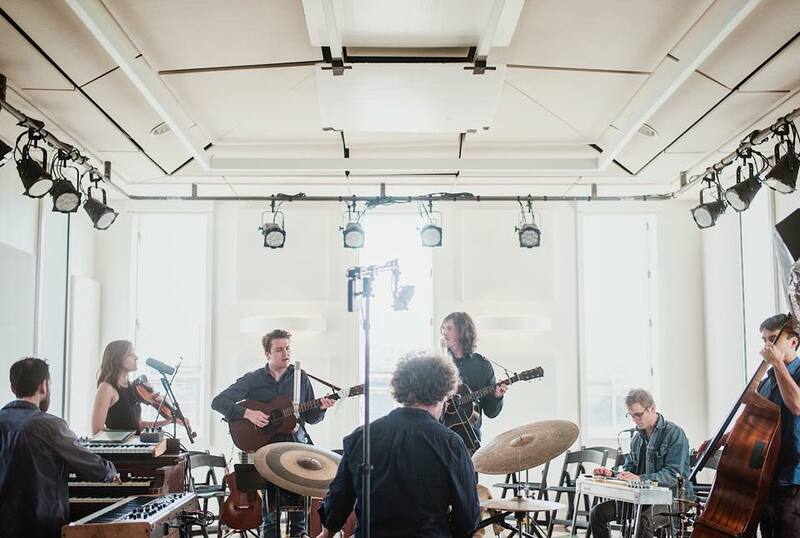 Ten days in the middle of May were spent in Iceland, touring a brand new collaboration: a duo with jazz/roots harmonica virtuoso Thorleifur Gaukur. We have a handful of live show recordings to sort through, and hope to share some of that in the coming months. To end the month, I got to return to DelFest for the third year in a row with Sierra Hull, where we also added special guests Del McCoury, Noam Pikelny, and Béla Fleck throughout the weekend. The first half of June was spent in Texas, beginning with an incredibly fun tour with Phoebe Hunt & the Gatherers, releasing her new album to a nearly sold-out Paramount Theatre in Austin, and a few other shows including the Kerrville Folk Festival. Go check out her new record Shanti's Shadow! From there I met up with Sierra and did some shows in Texas and Oklahoma before heading out to my Pacific Northwest homeland for shows in Washington and Oregon. For the very end of June and the first week of July, Sierra and I headed across the Atlantic for the Rotterdam Bluegrass Festival, and six shows in England - starting in London and looping around the country. From there I went straight out to Mt. Shasta, CA to teach bass at Tristan and Tashina Clarridge's 15th annual Shasta String Summit along with Mark Schatz and Paul Kowert, and a slew of incredible faculty and students. From there, Sierra and I played shows starting in California, and heading up the coast to Oregon (including a return to Northwest String Summit), and ended the tour in British Columbia at the Vancouver Island Music Fest. The last couple days I got to spend with my bass luthier and dear friend Mike Shank out at Shank Strings in Elizabethtown, PA. We opened up some new tonal areas on my instrument through various adjustments and modifications, and I am excited to share these sounds with you all in the coming months! The tour schedule is updated through the end of the year, and I look forward to seeing you on the road! Time for a long overdue update here! Last year ended with a winter-themed Northeast tour with Darol Anger, Emy Phelps, Tony Trischka, and Grant Gordy, and recording for Greg Liszt's upcoming banjo album. Also in December, Sierra Hull's Weighted Mind album, on which I was the featured-artist, was nominated for Best Folk Album at the 59th GRAMMY awards! Along with many crossings of the continent for concerts in January and February, we performed at the GRAMMY Museum in Los Angeles, and also attended the awards ceremony. Quite the experience! This has been an exciting year thus far for being able to perform with some of my long-time musical heroes: in late February, I performed with the Turtle Island Quartet at the Wintergrass festival, with founding members David Balakrishnan and Darol Anger. TIQ has been a huge part of my musical upbringing for at least a decade, so it was such an honor and dream come true to play with them! And last night Howard Levy - harmonica genius and original member of Béla Fleck & The Flecktones - another long-time hero of mine - sat in with Sierra and me in Chicago. What a thrill to share the stage with such an incredibly inspiring and iconic modern music giant! Late-winter and spring rolls along with many more Sierra Hull duo shows, with upcoming appearances in Florida, Minnesota, North Carolina, and three concerts in Tennessee. Some shows have also been added with the amazing songwriter/fiddler Phoebe Hunt coming up this June. Stay tuned for some other exciting new collaborations! In other news, I have been working for the last month or so to find ways to drastically reduce my land-fill waste, both on the road and at home. It's been an exciting and rewarding experiment, and I will write more on the topic as I gather my thoughts! It's the end of another rip-roaring festival season! We finished things up with a performance at Wide Open Bluegrass Festival last weekend in Raleigh, NC. It's all indoor shows from here on out through the end of the year, and I'm delighted to get to travel to some of my favorite places and old stomping grounds! October 14 we will play two shows in Philadelphia (where I spent a few years attending the Curtis Institute), and on October 15 we'll be in New York City at Symphony Space, as part of the Béla Fleck-curated Acoustic Planet Tales series. The following week we will head out west and play shows from Chico, CA up through Kirkland, WA with many stops between, including two shows in my beloved hometown of Olympia, WA! All of these October shows are with Sierra Hull, who was just named IBMA's 2016 Mandolin Player of the Year, the first woman ever to receive the honor! As always, details for these shows and all others coming up for me are on the Tour Dates page (including the dates for Darol Anger's upcoming 4th Annual Keep it in the FAM holiday tour!). And as always, feel free to Contact me about lessons (in person or Skype), bass questions, and anything else. See you around! Summer is here, and festival season is in full swing! Telluride last weekend was a major highlight thus far: two sets with Sierra - a late night show which had some guest appearances by Béla Fleck and Tatiana Hargreaves, and our main stage set, which had just about the most beautiful view you could hope for - and one set with Tatiana, opening for the Punch Brothers at the final show of the festival. Sierra's Weighted Mind tour continues to roll on: we are in Salt Lake City today for the Utah Arts Festival, and have stops in Wisconsin, California, North Carolina, Virginia, Illinois, New Hampshire, and New York over the next few weeks. Mr. Sun will also make an appearance for the second year in a row at Grey Fox (where Sierra will also be featured), and I'll be back at RockyGrass for the 3rd year in a row, this time with the Tony Trischka Band. I'm looking forward to doing a bit of teaching this summer as well: a few days at the Shasta Music Summit in California, a week at the Summer Strings camp in Poughkeepsie, NY, and a few days at the Rockygrass Academy out in Lyons, CO. There are links to all of these, and all my shows on the Tour Dates page. See you out there this summer! We've made it to spring once again! The end of winter was a busy one, touring all over the States in support of Sierra Hull's new album Weighted Mind. The response has been excellent thus far: 3 weeks at #1 on the Billboard Bluegrass chart, some great reviews, and receptive audiences at over 30 shows in 17 states. We've got a lot more to go! This weekend a sold-out show at the International Bluegrass Music Museum in Owensboro, KY, and a live PBS taping for Bluegrass Underground (filmed in a cave 300 ft. below the ground). April will see a Mr. Sun festival appearance in Florida, and performances with Sierra in Texas, New York, Massachusetts, New Hampshire, Pennsylvania, and Maryland. If you'd like to come out to a show, check out the full details on the Tour Dates page. Also: a shout-out to my buddy Eli West, who just released an excellent new album The Both. I had the pleasure of playing bass on the recording, along with Bill Frisell, Dori Freeman, Anna & Elizabeth, Christian Sedelmyer, and John Reischman. You can pick up a copy at his Bandcamp page. Co-bill with David Grisman Bluegrass Experience in Tallahassee. Ethan will be on tour for the next few months with Sierra Hull, supporting her imminent release Weighted Mind. Out January 29th on Rounder Records, the new album features bass and mandolin/voice duets between Sierra and Ethan, with guest appearances by Abigail Washburn, Alison Krauss, Rhiannon Giddens, and producer Béla Fleck. The tour will kick off with a Nashville album-release show this Thursday, January 28th at the City Winery. Check out the rest of the tour dates here (more are being added frequently) and we'll see you on the road! Ethan will be appearing on Garrison Keillor's A Prairie Home Companion tonight with Sierra Hull, performing songs from her upcoming album Weighted Mind. The show is broadcast live from the Fitzgerald Theater in Saint Paul, MN from 5-7 CT, and can also be video-streamed online at www.prairiehome.org. The new Mr. Sun record The People Need Light is being released on Compass Records in two days! You can listen ahead of time thanks to the folks at the Bluegrass Situation. Click here to preview the album! Ethan made his debut on the Grand Ole Opry on July 4th with Sierra Hull, performing songs from Sierra's upcoming album. A new duo EP with Tatiana Hargreaves has just been released and is available for order and download on Bandcamp!